Colleton River Plantation has been recognized as the one of the nation’s best private golf clubs. It is the only club in America with two golf courses that have made the prestigious TOP 100 list of private golf courses in Golf Magazine. Colleton River Plantation real estate is in the upper end of the price spectrum for both homes and POA fees. Having a home or home site in Colleton River offers you more than membership. It offers you an extraordinary lifestyle. Where else but at Colleton River could you get up early for morning coffee at the Dye Clubhouse to watch the sunrise, play 18 fantastic holes of golf, and have lunch on the veranda, overlooking 9 golf holes including the signature 12th to 14th and the river to the sound beyond? If that isn’t spectacular enough, take your cart the short distance to the Nicklaus Club, play 18 holes of incredible golf in the afternoon, and then enjoy an after-golf drink or dinner while watching an amazing sunset. Too good to be true? See for yourself – only at Colleton River Plantation! In addition to these dramatic and superbly playable golf courses, living in Colleton River has more than 1500 acres of spectacularly unspoiled deep-water land, expansive lakes, and breathtaking salt water marshes with sweeping Low Country vistas for your enjoyment. Leaving the traffic and busy world behind, the winding drive into Colleton River is assurance of the tranquil setting beyond. 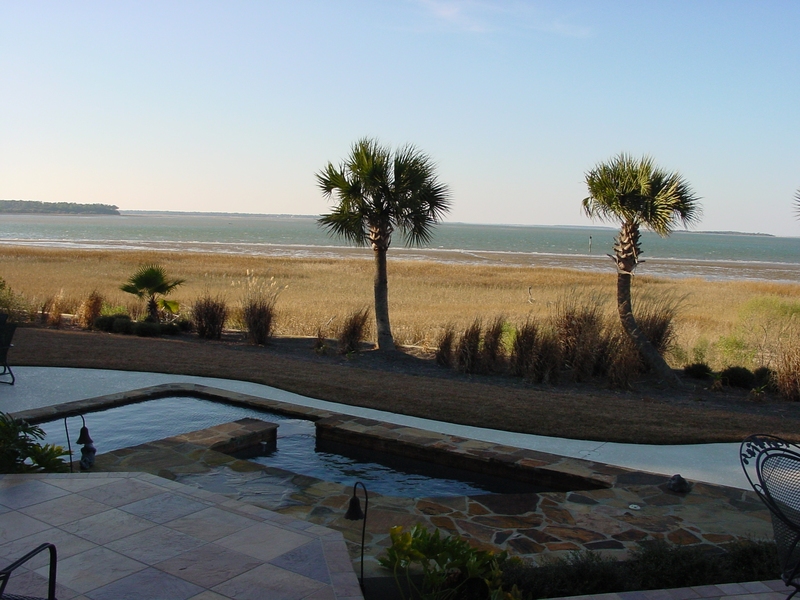 Your choice of this Hilton Head real estate includes marsh views, riverfront, golf course, lagoon, and wooded locations. Colleton River Plantation also features an active Stan Smith designed tennis facility adjacent to the fitness center and a 25 meter pool with 5 lap lanes and a play area for young children. Social life offers something for everyone. There are book clubs, bridge groups, Yoga classes, art and cooking classes, wine dinners and a Scotch Society and much, much more. The Discovery Series and Town Hall meetings help to round out the events. Colleton River offers you more than a home – it offers you a diverse group of people who are willing to share their time and abilities with others and offer the best gift of all – friendship in community living. Colleton River is an upscale community located on an exceptional parcel of land surrounded by the Chechessee and Colleton Rivers. The homes are diverse and the people are terrific. Conveniently located near all of the Bluffton conveniences and yet just over the bridge from Hilton Head. The golf is incredible but it offers much, much more. A wise choice for the discriminating purchaser who wants an outstanding place to live.